We talk a lot about Little Voice holding us back with negative chatter. 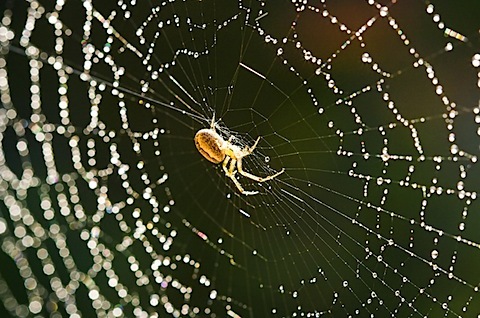 It’s easy to forget that the Little Voice can be even more dangerous when it stops berating us and turns, instead, to seduction—a voracious, honey-tongued spider luring us into it’s web. When you recognize you’re about to slip into the sticky parlour, clap your hands, yell “STOP!” and get back to what you need to do right now. Do it, then celebrate the WIN of staying present and focused on your task. Have something to say about the spider and the fly? Leave a comment – and don’t forget to click on the RSS feed link to be alerted when a new post is published. This is an example of the topics we deal with each week in the SalesPartners Mastery classroom. You’re invited to experience one session as our guest, to make sure it’s a “fit” for you. Contact Us for details and upcoming dates. This entry was posted in Handling Objections, Indecision, Little Voice Mastery, Sales, Sales Mastery, Sales Tips, Sales Training, self-talk, Success & Failure, The SPider and the Fly and tagged Denise Roberts, Diane Putvin, Indecision, Little Voice Mastery, sales mastery, Sales Partners, Sales Partners Troy, sales tips, self-talk, Success & Failure, The Spider and the Fly. Bookmark the permalink.